Actors and actresses always have different shows, movies and guest appearances. We know that there are only a handful of celebrities who have made it to the top. TV commercials also pay well especially if the model is already a popular movie star. In the Philippines, the talent fees really depend on the popularity of a person. The popularity is being measured by the number of fans and movies produced. Supporting roles can pay decent money but major roles really show a huge difference. Sometimes there are only a few people in show business who can portray major roles. Sharon Cuneta who is known as the mega star creates her own fame and fortune. She became famous by having a strong love team with Gabby Concepcion. This became one of the unforgettable moments in the history of show business. The fans loved this idea of creating love teams during the 80’s. Sharon is still one of the top earners today with several product endorsements for Magnolia, Selecta and McDonalds just to name a few. When Senator Kiko Pangilinan and Sharon Cuneta got married, these two people are having a tough time to avoid the limelight. We can say that Sharon became the center of attraction again. Until now, she is still considered a popular figure. Being a celebrity does not mean you need to show your hidden talents on the big screen just like actors and actresses are doing. Manny Pacquiao is a great example. In boxing, the best way to be famous is to start fighting greater boxers. This is what Manny Pacquiao did. He fought Marco Antonio Barrera and at that time, Manny was considered the underdog. Barrera got the attention of the crowd at first but Pacquaio beat him up in the latter part of the fight. Speed and resiliency are the two best ingredients of Manny. This event is actually the start of Pacquiao’s popularity. He became more exposed to the press, critics and other boxers around the globe. Beating the people’s champ of Mexico really does matter. Now, the Filipino boxer already appeared to several television commercials. These include Darlington socks, San Miguel Beer, Alaxan and many more. 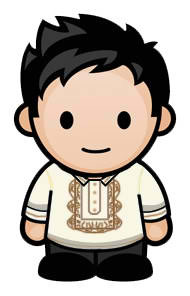 Manny’s identity became an icon not only in the Philippines but also in different parts of the world. In fact, there are also foreign celebrities who like Manny Pacquiao’s greatness in his field. These are Sylvester Stallone, Mark Wahlberg and Boston Celtics’ Kevin Garnett. Today, Manny Pacquaio is a congressman of Sarangani province. He currently owns a private helicopter, houses and luxurious cars. Pacman also manages a number of businesses. Because of fame, his mother Mommy Dionisia became an instant celebrity as well. She had a few television commercials as well. Most Filipinos know that pinoy celebrities became famous because of hardwork, patience and sacrifices. We have to consider the effort of their fans. In the Philippines, the older celebrities entered the field of hosting a show and others find it very interesting to watch. Some of these are game shows in line with comedy and stage performances. About the Author: Jevelme Frago is a freelance writer for thechicka.com, a website providing an entertainment news such as Pinoy celebrities, pinoy paparazzi and many more about celebrity news. Get connected with her on Twitter and Facebook. Sharon and Pacman definitely earned their niche in the showbiz and boxing industry and have taken the product they endorsed to greater heights, that's why they are paid well. Wow!! You've really post my idol(Sharon Cuneta). Yeah! !Pacman and Sharon are really one of the Highest Paid Pinoy Celebrities. Sharon and Pacman are all deserving to be the highest paid pinoy celebrities. This is all because of their hard-work, dedication and put too much passion of what they're doing. I wonder aside from Pacman and Sharon, who else would be the highest paid pinoys. Interesting.. Just a thought, I think some or most highest paid pinoys today are slowly getting younger & younger.. just take the case of the leading actors & actresses of most ABS-CBN teleseryes, almost all of them are teens or children. What I don't like to some is that they just accept everything that pure into them eve nit doesn't fit to what they are trying to portray. 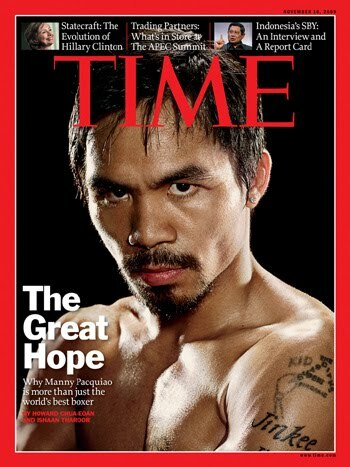 Manny Pacquiao was the 16th richest celebrity in terms of earnings for 2011 in Hollywood. Hardwork, patience and sacrifice thats the key. For all of Manny's critics, that man earned his money from hard work, blood, sweat, and tears. Being rich aside, he's also still a very humble man and he's actually pretty kind and generous. I speak from experience, praising his character. Yes! Sharon and Pacman belong to the highest paid Pinoy Celebrities, especially Pacman. i think Kris Aquino belongs to the highest paid celebrity,yah hardwork and sacrifice is also the key to success. I like the Sharon photo and would love to see more news about celebrities from pinoy! wow, Sharon is still one of the highest paid celebrity, she's blessed with a lot of projects. good job! I quess Willie Revillame is also one of the highest paid celebrities as of the moment. Updated as of April 4, 2012... KRIS AQUINO still tops this list and no wonder she is the "Queen of All Media". Well Manny Paquiao is included .in the list of the RICHEST celebrities because most of his earnings are in dollars. Oh these celebrities earn than most of us can ever dream of although most of them really work hard for it.